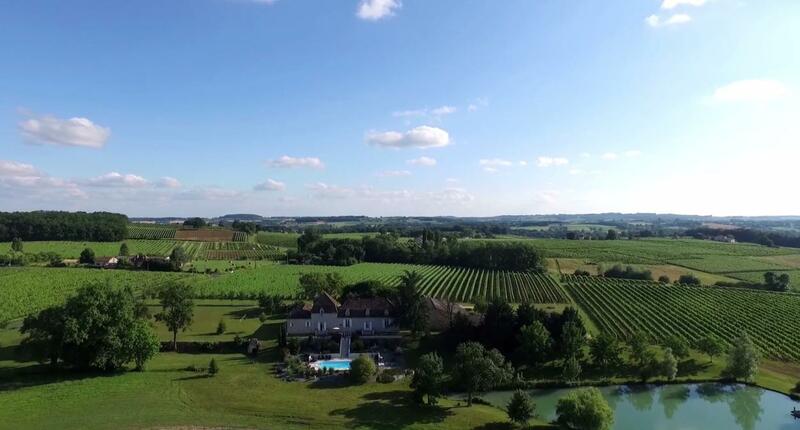 Anthony Castaing has taken over the running of a family vineyard in the Bergerac wine district. A passion for winemaking, attention to quality service and respect for the environment all led him into wine tourism. When was the Domaine de Grange Neuve first established? It’s a family enterprise situated at Pomport, in the Bergerac vineyards, and was created by my great-great-grandfather five generations ago. Were you always going to take over the family vineyard? No, but I came to love the job! Today I have two children, aged 9 and 12, and my son seems to like working in the vineyard. I hope that he too can become a wine grower! Do you protect the environment in your wine growing? Of course! Our vineyard has been certified as a High-Value Environment, a label which aims to develop sustainable consumption. Apart from visits and wine tastings, what other activities do you offer? We are a farm with a certification for educational activities centred around the vineyard. We host a lot of children, especially school groups during the grape harvest. We have also had the ‘Welcome to the Farm’ label for the past 10 years. It’s very important to us to share our passion with as many different groups of people as possible. What are you aiming for now? We would like to start a professionalization initiative in wine tourism. After winning the Best of Gold 2015, in the accommodation category, we are now more motivated than ever!